I wasn’t scammed just once, but twice! ESET Ireland talked to Waterford man who was scammed out of nearly €400 online. So what went wrong this time? 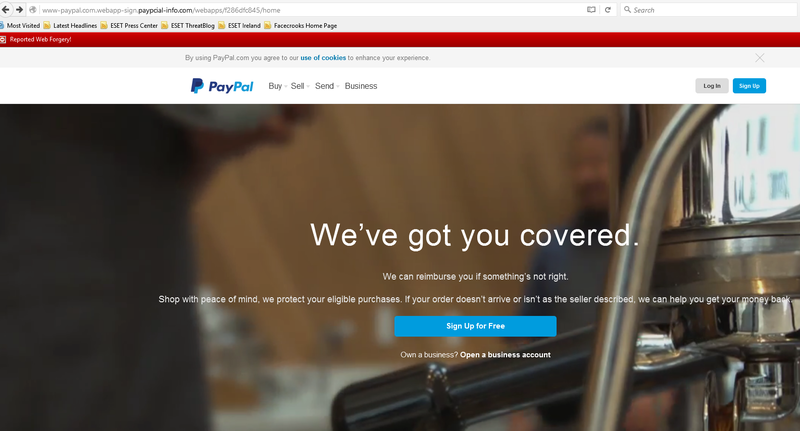 “This caught me off guard as it all looked so real and you tend to trust the big Names such as PayPal, Amazon, eBay etc. 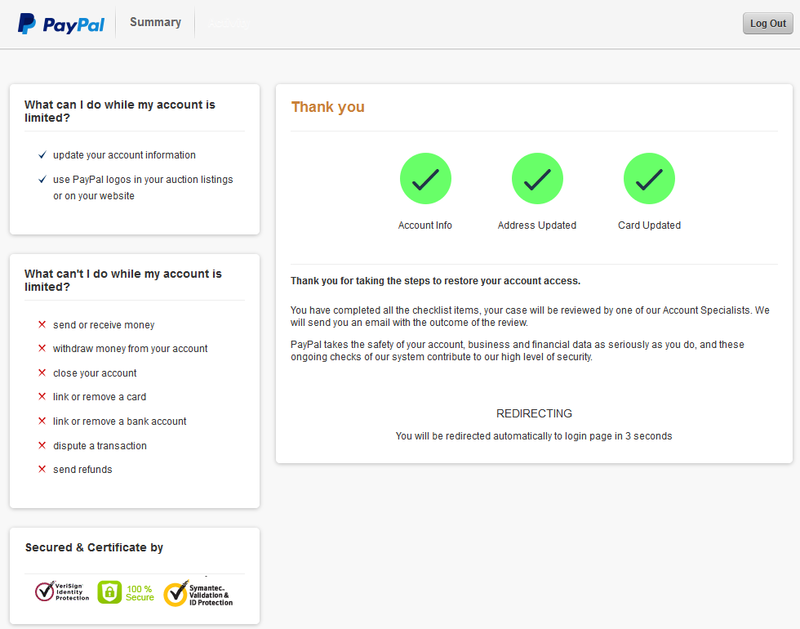 When I received the email in question I just acted quickly so I could restore my account with PayPal and continue as normal. It all looked so routine!” said Christy. ESET Ireland has regularly warned the Irish public of very realistic looking Bank of Ireland, Irish Revenue, DHL phishing scams as well as iTunes, Vodafone, LinkedIn and other major brand names being abused by cybercriminals. The scammers are perfecting their methods of operation by building very convincing imitations of original websites. 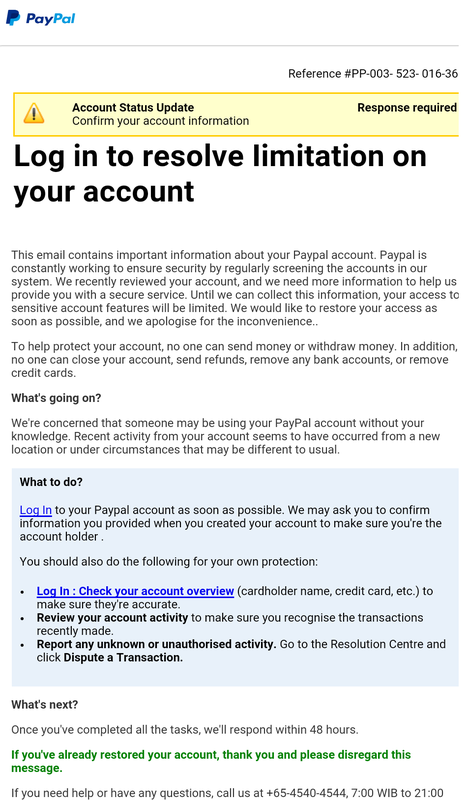 In the case of this PayPal scam, the site looks nearly exactly like the real thing, except for the address line which is not ‘https’ and is obviously different from the actual one. The procedure for “confirming status” of a scam victim’s account then takes them through a series of questions where they have to enter all their personal and card details, starting with giving away their username and password. 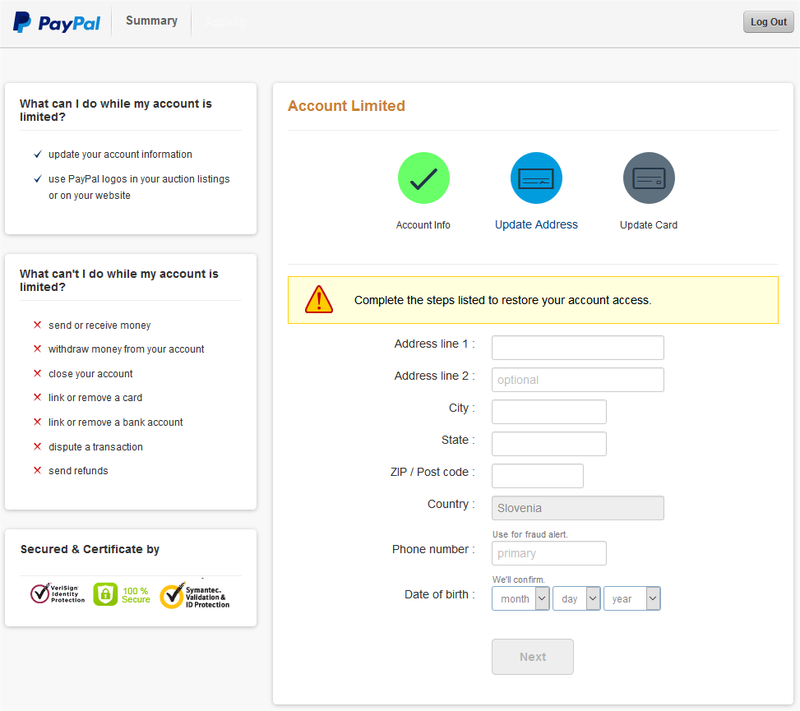 A simple test of the validity of a suspected fraud site would be entering a bogus username and password. If it still lets you in, it’s got to be fake. …as well as your credit card details. Note that to appear additionally convincing, the fake website claims it’s got security certificates from VeriSign/Symantec. Then, when you have disclosed all the relevant and abusable personal info to the cybercriminals, they thank you and redirect you back to the genuine website. And the question everyone’s asking, did any of his money get refunded? ESET Ireland recommends Irish computer users to be vigilant when receiving phishing emails, tagging them as spam and deleting them immediately, without replying or clicking any links they contain. If unsure of any content or if in doubt whether the content is legitimate, contact the company in question directly and ask. Also make sure your operating system and antivirus software are updated to the latest, to make possible infections less likely to occur. Know about phishing scams, warn your friends! Just knowing about the types of scams circulating, can help you avoid them. Your bank, PayPal, Amazon, etc. do not send mails asking you to verify your account! Do not click links in emails or open attachments if you’re not 100% sure of the source. If you have any doubts about an email, google some of its contents. Likely a scam warning will appear. Do not reply to such emails, even when you recognise phishing. Delete and mark them as spam. 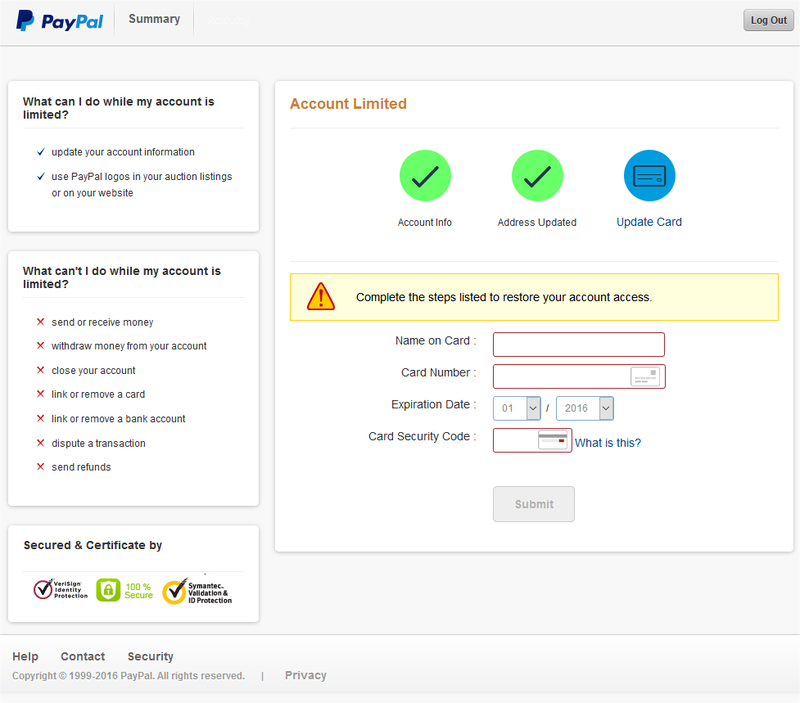 Check your bank‘s, PayPal‘s, eBay‘s and other firms’ Security Centres for security information. Keep your operating system and antivirus software updated, to prevent infections.